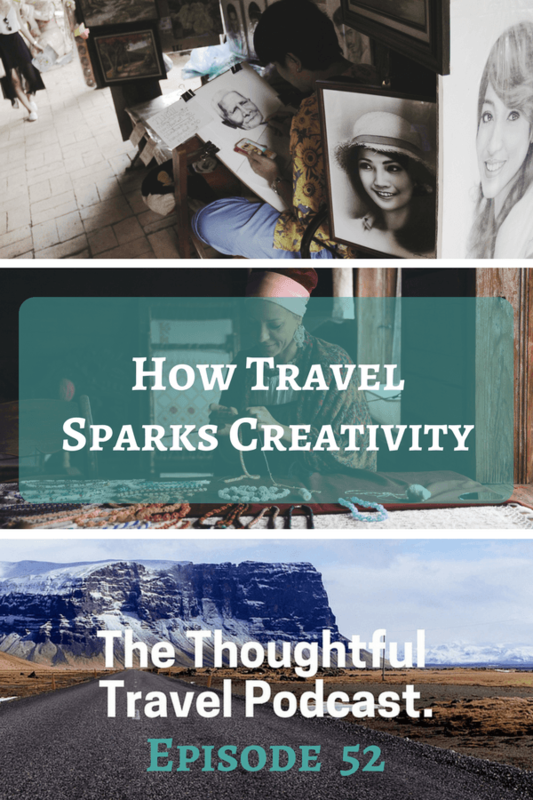 Do you feel more creative when you travel? I often feel a real spark of creativity when I’m travelling and wondered if I was alone – according to the guests I speak to for this episode of The Thoughtful Travel Podcast, I definitely am not! I often come home with long lists of ideas: blog post ideas, new business ideas, things to do around the house ideas, you name it! 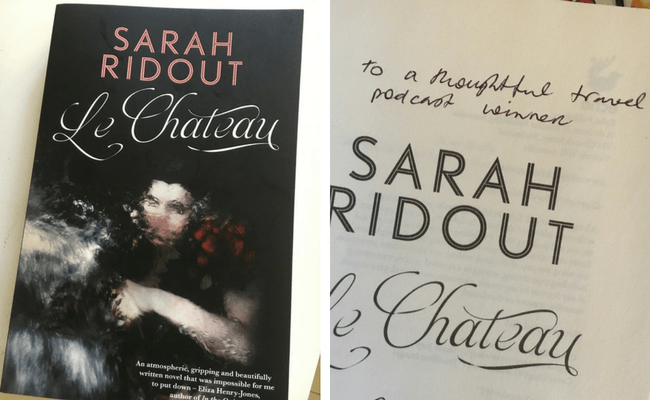 Some people have ideas which turn into concrete things like published books: Sarah Ridout, a novelist I interview on this episode of the podcast, is one of them, and she has been kind enough to donate a copy of her recent novel, Le Chateau, for a listener to win. If you’re reading this before the end of May 2017, head over to the Thoughtful Travellers Facebook group and find out how you can win this! I’m constantly amazed how creative and inspired I feel while I’m travelling – without even trying, the creativity just seems to well up in me and pour out. The best bit is, it turns out I’m not alone. In Episode 52 of The Thoughtful Travel Podcast I start by chatting with Brooke McAlary about her experience of creativity when she’s on the road. I was expecting her to cite her beloved mountains as a source of inspiration but in fact, the main reason travel sparks her creativity is something quite the opposite. I then chat with Australian novelist Sarah Ridout who has many wise words to say about the creativity that travel seems to encourage – whether that’s creativity to write or to draw or something else entirely. Finally, Natasha Lester speaks about how her creativity process fits with travel when she’s researching her historical fiction novels, and we chat about refilling your creative tank.